South Korea expects to see its exports grow 4 percent this year, slowing down from a double-digit expansion in 2017, amid a strengthening local currency and potential geopolitical risks, the industry minister said Monday. 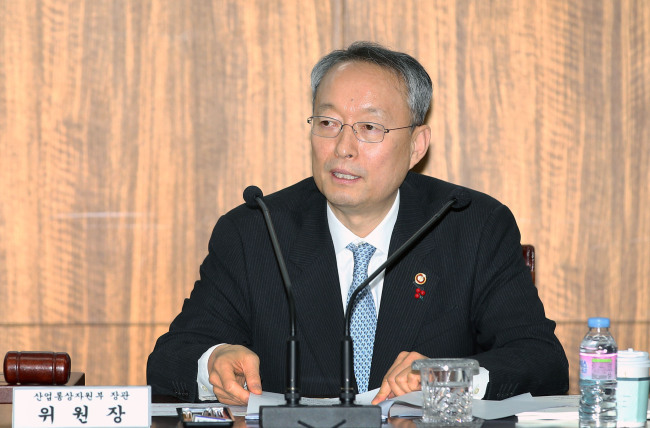 “The government will do its best to attain 4 percent growth in export growth this year by pre-emptively coping with possible downside risks,” Minister of Trade, Industry and Energy Paik Un-gyu said in a New Year’s visit to Incheon International Airport, the country’s main gateway. Outbound shipments of Asia’s fourth-largest economy soared 15.8 percent to an all-time high of $573.9 billion in 2017 thanks to booming global demand. He said the pace in 2018 will slow down to some extent due to lingering risk factors like financial uncertainties stemming from monetary normalization in major economies and the spread of trade protectionism.